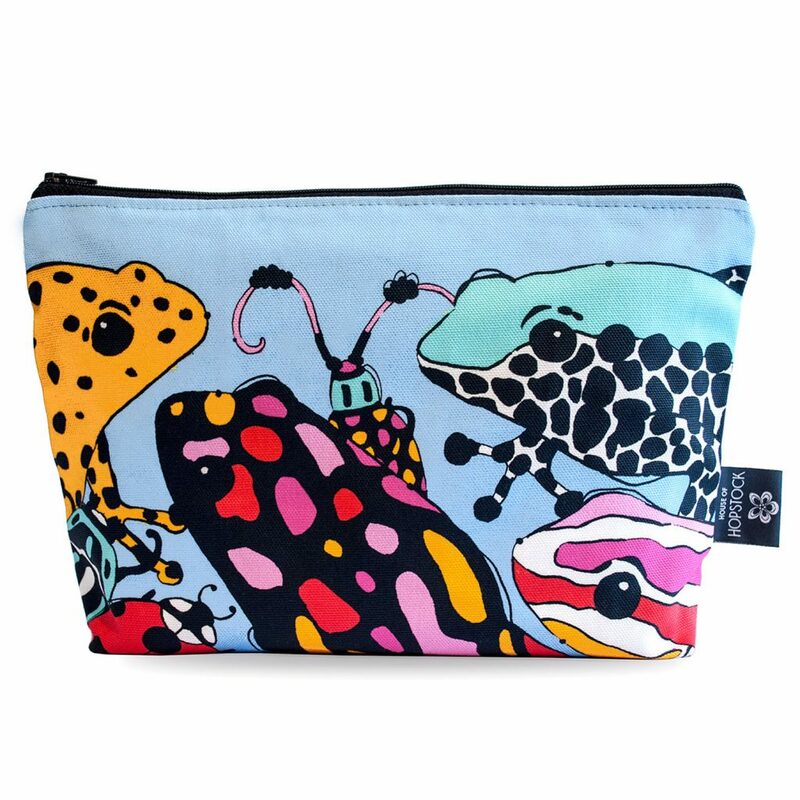 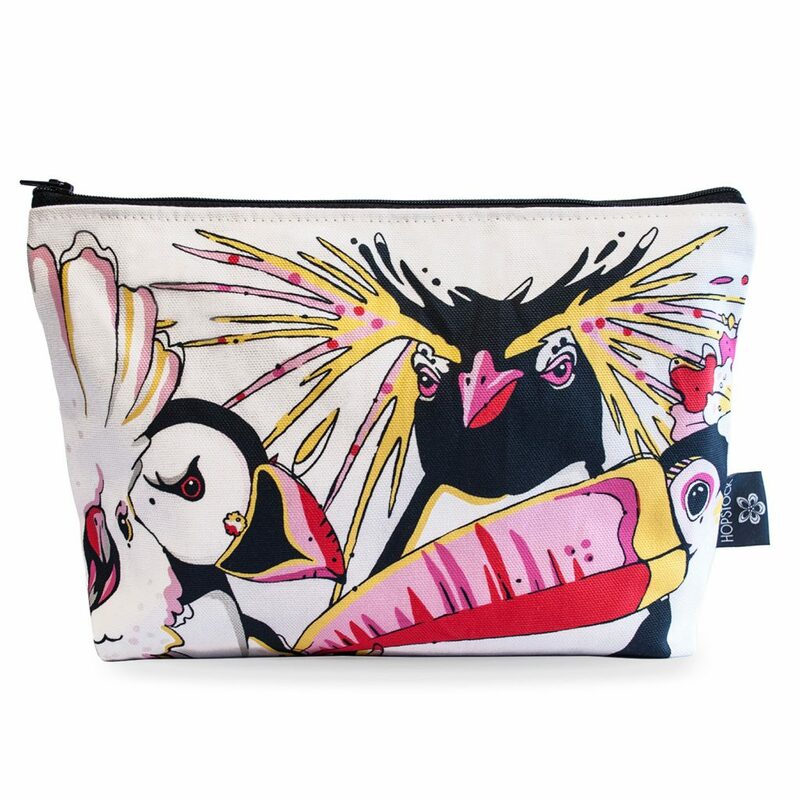 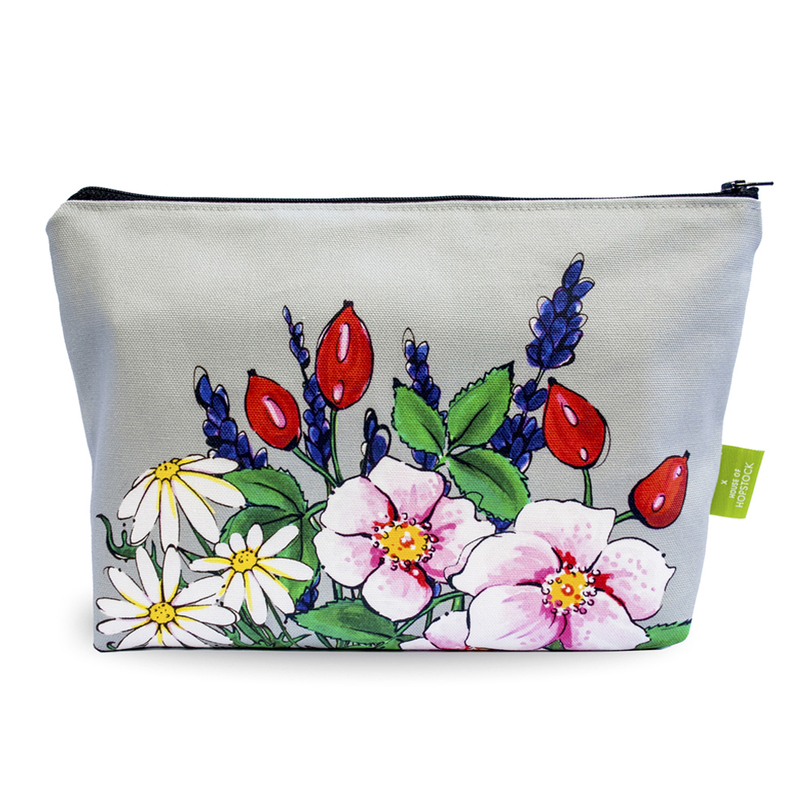 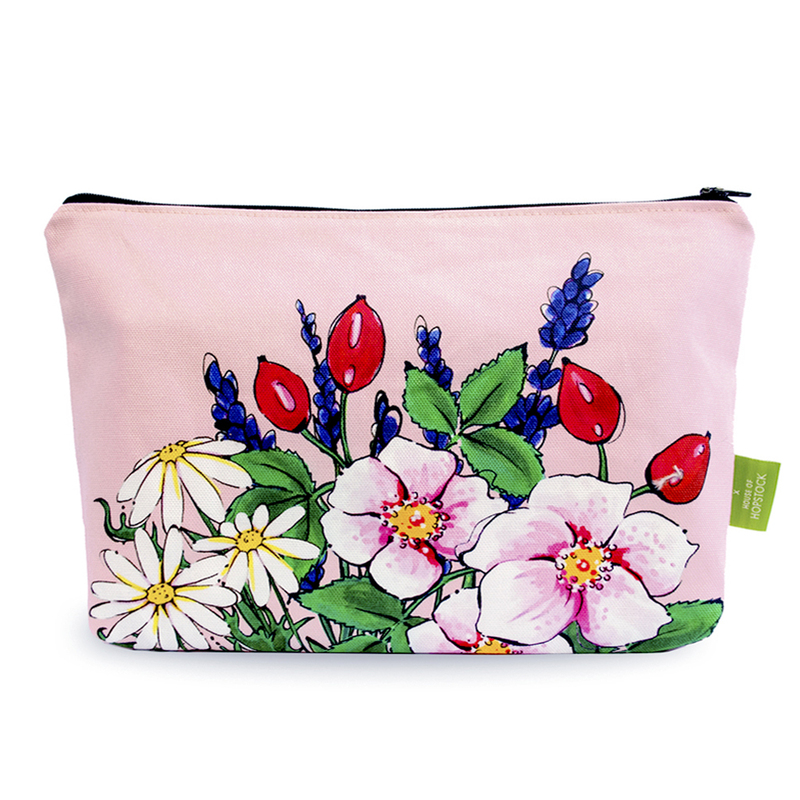 Our opulent Palm Print Makeup Pouch ‘Winter Palm Magenta’ is digitally printed on the finest magenta cotton half panama fabric and is fully lined with a waterproof material. 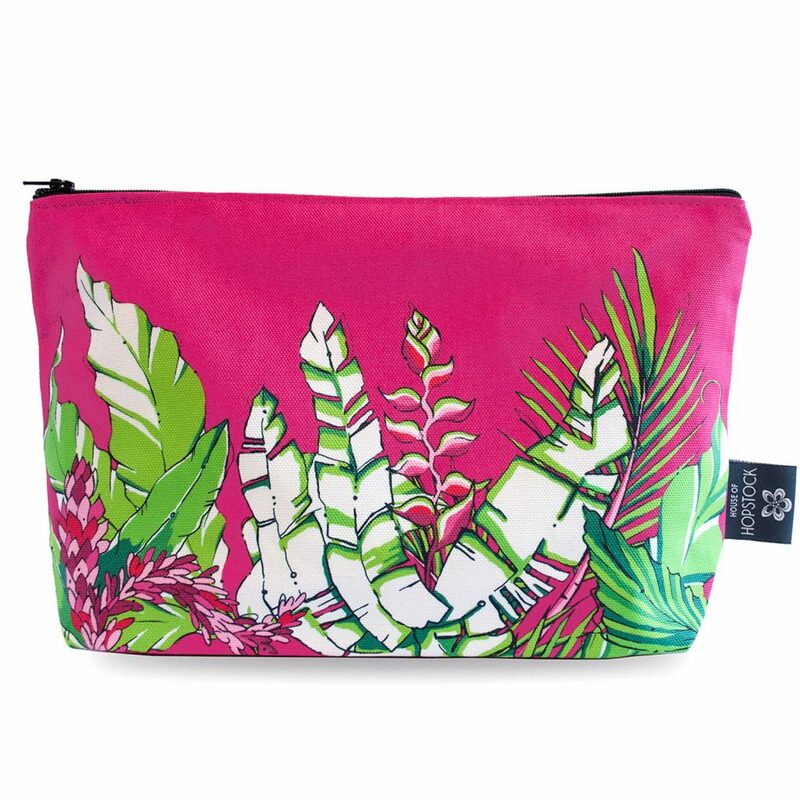 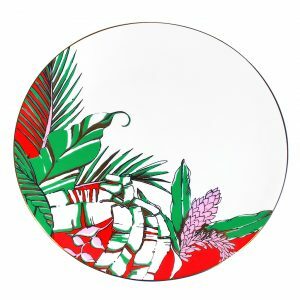 The print is our festive winter take on the classic palm print, and takes inspiration from the lush flora of Penang, Malaysia, and features the red stemmed Lipstick Palm, the wavy leaves of the Birds Nest Fern, the iconic Lobster Claw plant, and the delightful little clusters of the Red Ginger flower. 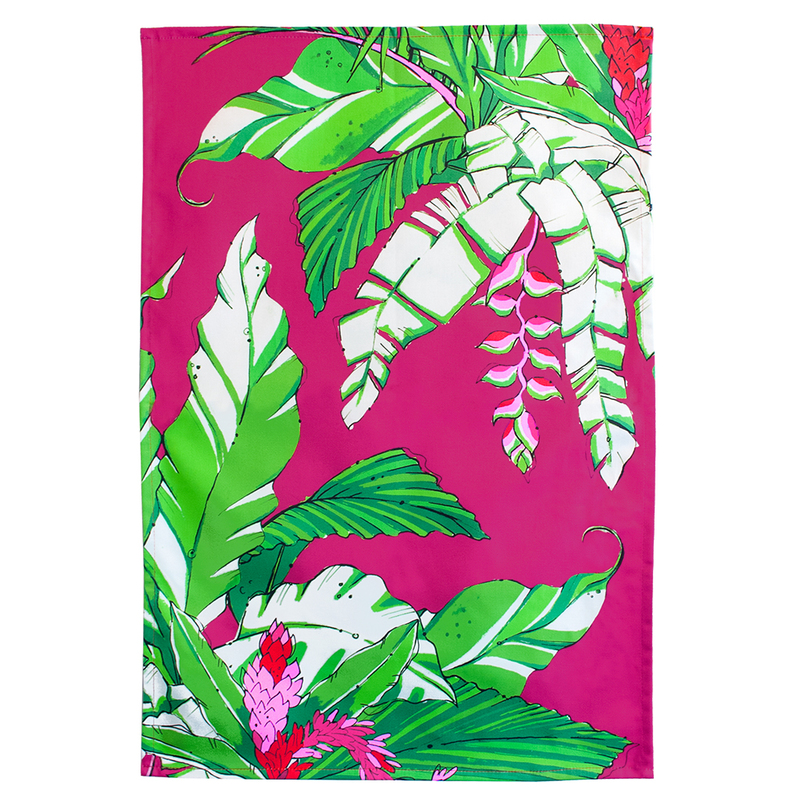 An exotic and subtropical print that is sure to brighten up the winter months and sumptuous enough to be used the rest of the year with equal delight.